The Sultan of Sokoto Alhaji Muhammad Sa’ad Abubakar has condemned the killing of innocent souls and causing citizens to live an uncomfortable life in their own country Nigeria. The royal father also appealed to politicians not to see politics as ‘do or die’, and urged citizens to come together and solve the problems of the country. He said people cannot go about killing and spilling innocent blood all in the name of religion. 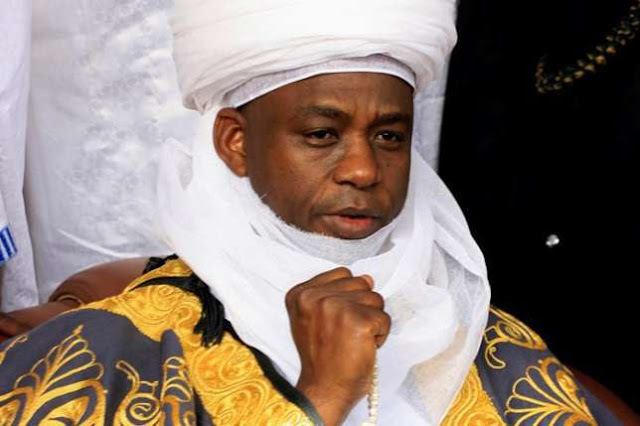 Alhaji Muhammad Sa’ad Abubakar, the Sultan of Sokoto, has sounded the alarm over the persistent killings in the country, stating that the blood shed in the country is too much. He made the remarks while speaking at a National Stakeholders Summit on 2019 election Integrity and official unveiling of the let the votes count, rig no vote campaign organised by the Youths off The Street Initiative in collaboration with the Nigeria Inter-Religious Council, The Nation reports. He pointed out that both Islam and Christianity preaches the sacredness of life which should be respected by all, and that Nigerians cannot go about killing and spilling innocent blood in the name of religion. He says “As Christians and Muslims, we know the sacredness of life. We cannot go about killing innocent people and claiming to be doing so in the name of religion. This is not right and must be condemned and must be removed from our communities. All of us must rise up against those people. “There is too much blood shed in Nigeria, the blood of innocent people who do not even know what is happening or what is governance. This is happening across the country and if we don’t stop this and recognize the sacredness of human life, we cannot see peace, we cannot have peace and development in any place. “Nigerians must wake up and know that we must come together because our religion does not allow us to kill people, but preach peaceful coexistence, loving your neighbour as yourself and things like that. “So, when people spread a different notion about what Islam or Christianity said about loving your neighbour by killing him or abusing him every day and calling him all manner of names, I don’t know. “The CAN President speaks for the millions of Christians in the country and I speak for my own brothers and sisters who are Muslims. You don’t have to bring everybody. You just need to bring the leadership to a room to discuss, but we must discuss what we believe in and what our religion orders us to. Once we go out, we can through the media, spread that campaign. “It is one thing to come to a meeting and say a thing, it is another to go out and implement those things we agree on. In Islam, for you to do what you don’t believe in is very bad and so, you cannot say one thing and do another. So, we must do what we say and work with what we believe in. “People see politics as do or die. We should not see it that way. That is why we tell our politicians always that they should not feel they must be in a particular office always. You can contribute to the development of the country or your community by being an independent person. It is not by force for you to go into a public office. “If you know the consequences of holding a public office when you are going to face the almighty God, you will not want to hold a public office. People feel you just come into public office, take whatever you want to take, go about in convoys. That is not leadership. If you are elected by the people, let them come close to you so you feel their pains. You can’t be in an office and nobody come close to you. A leader must take decision concerning his people by consultations. You don’t just wake up and enact a law that is totally against my freedom. He further said: “Now, we have a very common problem of thuggery, violence, terrorism, shedding innocent blood among others. We must come together and solve this problem and when we take decision on this, please let us go back and implement those decisions. The Sultan said anyone who kills in the name of Allah or Islam is not a true Muslim.